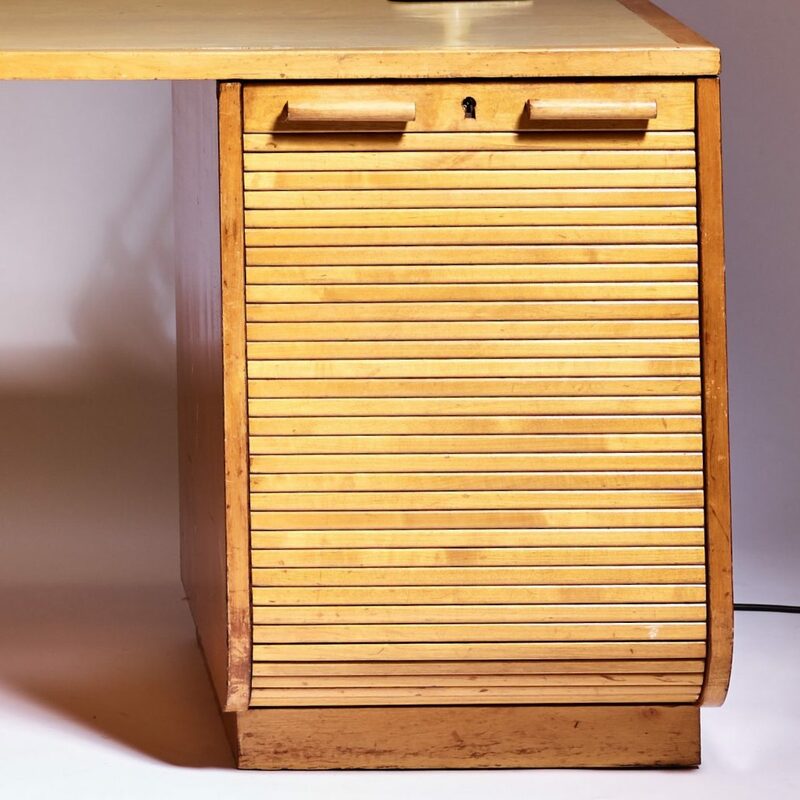 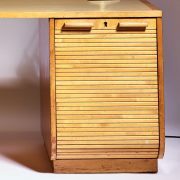 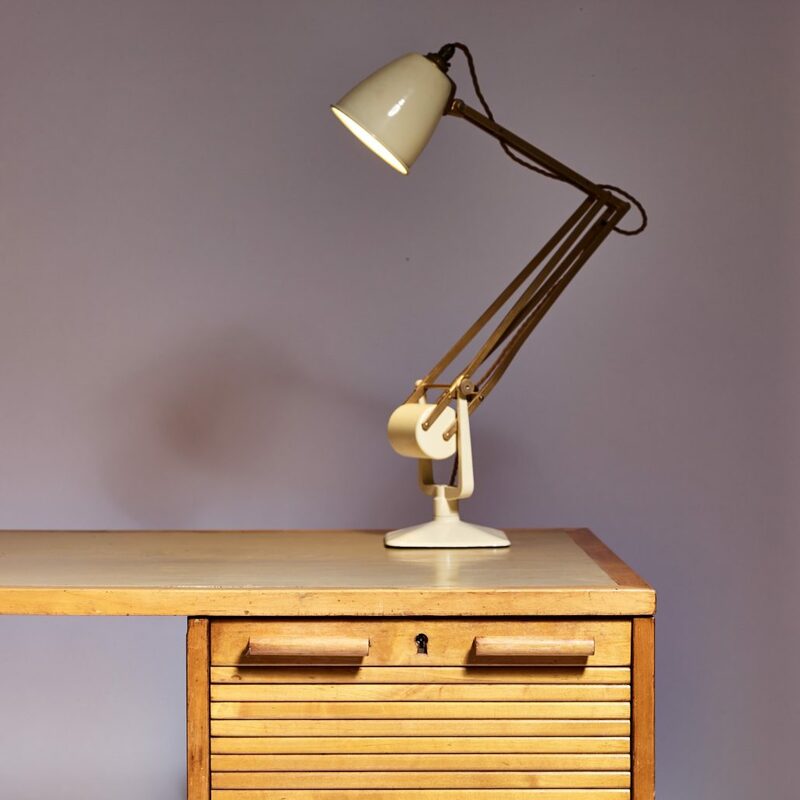 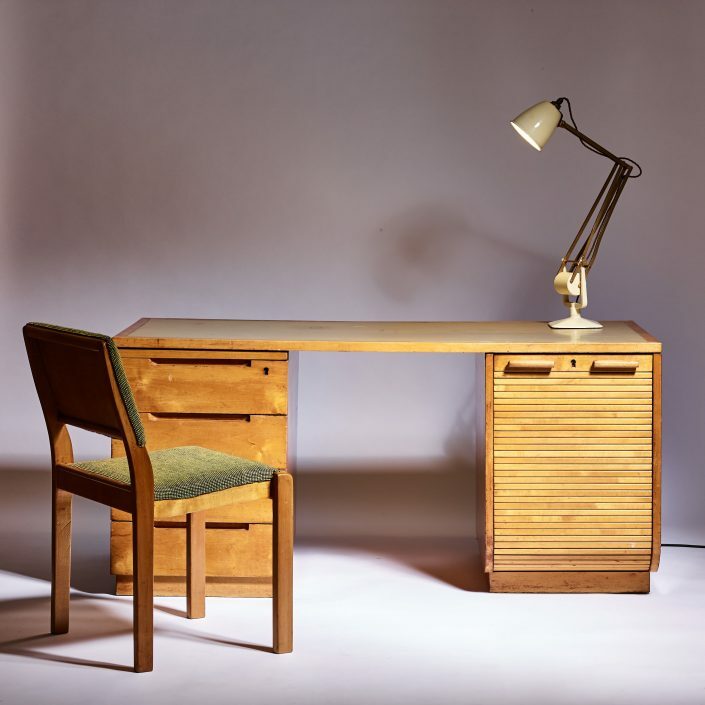 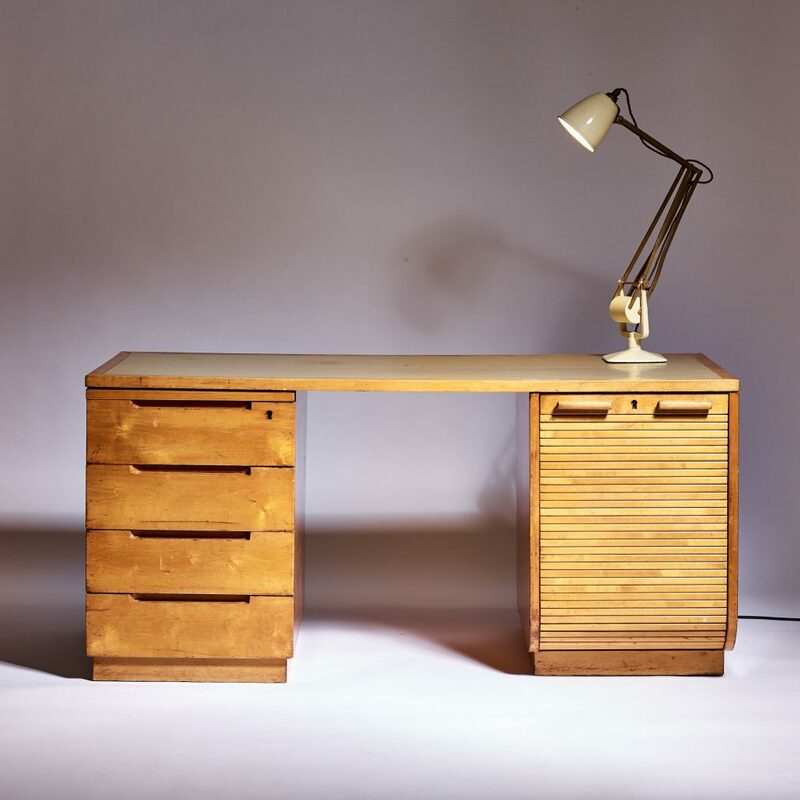 A fine example of this very rare early Aalto desk. Rarely seen in this country this imposing design has a mixture of the classical in its roll down tambour storage covering and Aalto’s later more modernist drawer pedestal and desktop in a light green Lino. 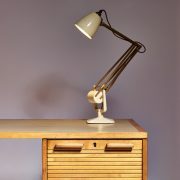 Beautiful patina to every surface of its ‘belt & braces’ heavyweight construction. 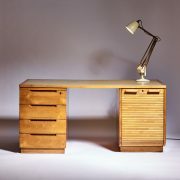 An amazing original example with Finmar and ‘Finland’ stencils to underneath.